If you’re considering buying a new home in Rochester MN I’ve included a general overview of the entire process below. If you would like more information or to discuss the specifics of the home buying process, qualifying for a mortgage or any other questions you have about buying, I or one of my buyer specialists would be happy to talk you. You can reach me at 507-252-6745 or click here. Buying a house can seem to be an enormous undertaking, be sure to retain the services of a qualified Realtor. You can trust our Realtors to always keep your interest first and foremost. As qualified professionals, they’ll guide you through the entire home buying experience and assist you in being an informed buyer. 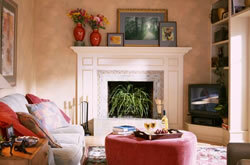 What features do you require in a home to satisfy your lifestyle now and in the future? Knowing your range of affordability is imperative. Once you know it, you can explore all your needs: from design preferences to neighborhood choices. Once you have found the home that is right for you, move forward to present an offer. This will consist of earnest money to be held in an escrow account and a written agreement. This agreement will set forth your terms of the purchase and a schedule of events in order to own the property. This extremely important document is a legally binding agreement and should be carefully prepared by knowledgeable Realtors who are qualified to cover all your interests. Upon your complete satisfaction, arrangements will be made to attend a closing. Coordinating the closing will usually be a title company who has your escrow money in account. After furnishing the down payment and whatever other applicable fees have been agreed upon prior to closing, final papers will be signed. The deed and mortgage will need be recorded in the state Registry of Deeds, and you will be a homeowner. Purchasing a new home can be overwhelming. Without the right resources and information, the buying process can be stressful and frustrating. With our online resources, you can avoid the pitfalls and we’ll be there to help every step of the way. Money Matters – the most important part of financing is your knowledge of the options available. Consider the following questions as a basis for determining your financing needs. A mortgage which allows the lender to adjust the mortgage’s interest rate periodically on the basis of changes in a specified index. 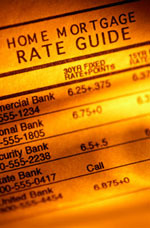 Interest rates may move up or down, as market conditions change. The change in interest rate will result in a change in the periodic payments due under the mortgage. ARMs are attractive when short-term interest rates are trending lower. A short-term, fixed-rate loan that involves small payments for a certain period of time with the balance due in a single, large payment at a time specified in the contract. Whenever the balloon mortgage becomes due, the entire unpaid balance is due. Generally, the homeowner must either refinance or sell the property. 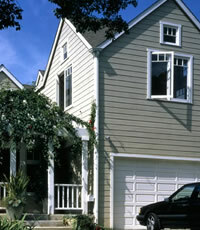 A conventional home mortgage, or first mortgage, that allows lenders to give loans up to a specified amount (mandated by Congressional directive) which meet the qualifications for sale or delivery to either the Federal National Mortgage Association (FNMA) or the Federal Home Loan Mortgage Corporation (FHLMC). A combination of both fixed-rate and adjustable rate mortgages, allowing the best of both options in one package. Low-rate loans that are available to Americans with smaller incomes who are interested in modestly priced homes. Down payment requirements are usually lower than the prevailing ones. A loan in which the interest rate, monthly principal, and interest payments are agreed upon from the outset and will not change throughout the entire term of the mortgage. A government-owned corporation within the U.S. Department of Housing and Urban Development, it is also referred to as ‘Ginnie Mae,’. This government agency guarantees the payment of principal and interest on all of its pass-through securities, and its guarantee is backed in turn by the full faith and credit of the U.S. Government. A long-term mortgage whereby the borrower agrees to increase his payment each year by an agreed amount. The added money per payment is applied directly to the outstanding principal on the mortgage, which is thereby paid off in a shorter number of years. A mortgage that allows the interest rates and payments to be adjusted periodically according to an index (similar to an ARM). A loan arrangement where two or more parties participate in the purchase of real estate and share the appreciation and tax deduction (similar to shared equity mortgages). Mortgage loans to veterans by banks, savings and loans, or other lenders that are guaranteed by the Veterans’ Administration, enabling veterans to buy a residence with little or no money down. What schools are available and which school district are you in? Inclusions and exclusions – examples would include washers, dryers, drapes, etc. Schedule all necessary pre-closing inspections. Check finances are deposited according the contract specifications. Schedule and attend the pre-closing walk through. Prepare for and attend the closing. On average, the value of a home nearly doubles every 10 years. 60 percent of the average homeowner’s wealth comes from their homes equity. The average homeowner’s net worth is $171,000 – that’s nearly 46 times that of a renter’s, who has an average net worth of $4,800. Homeowners benefit from the power of leverage. At an annual appreciation rate of 5 percent, a 10 percent down payment on a home will return 94 percent after 3 years. After 5 years, the rate of return increase to 225 percent and after 10 years, 623 percent. Source – NAR existing home sales historic series.